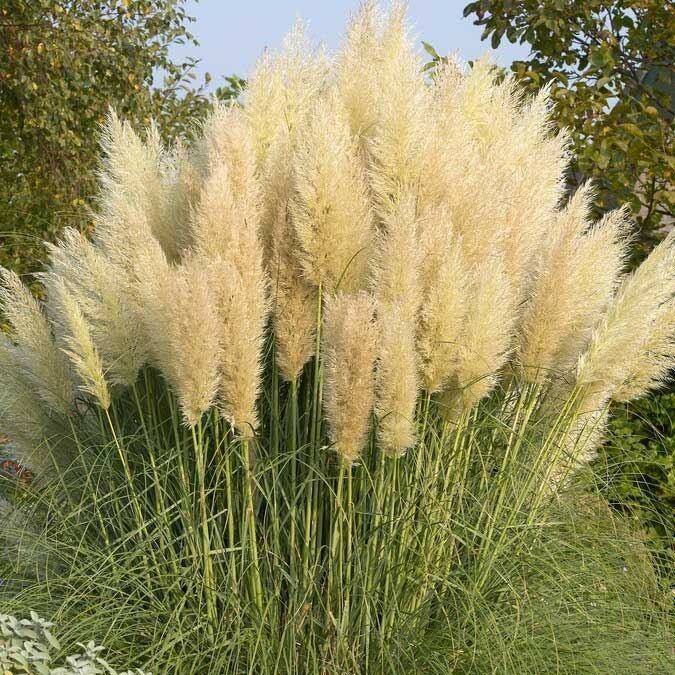 'Junior' is a dwarf pampas grass better suited to requirements in smaller gardens providing all those lovely soft silvery white plumes on a plant just 90-150cm (3-5') tall. 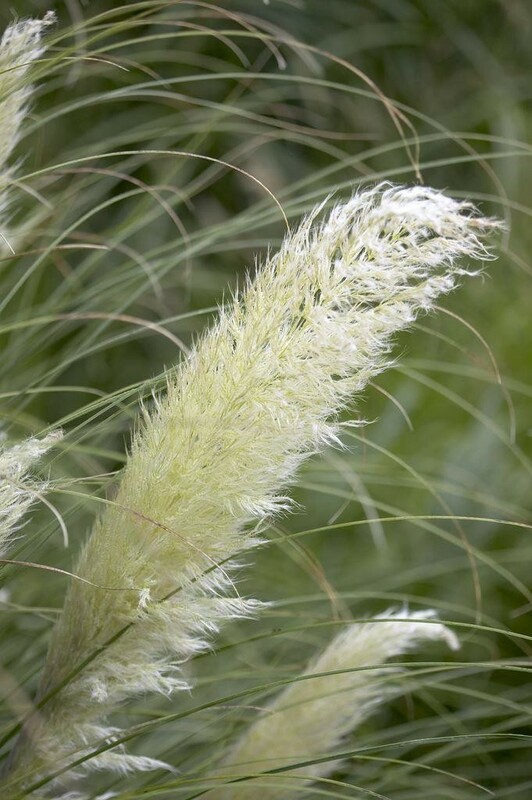 This beautiful grass with lovely fluffy plumes will make a wonderful solitary specimen or work well blended in with shrubs and other grasses. One feature of the flowering is the length of stem between the foliage and plume is quite short so that the base of each plume is held just in the top of the leaves, making for a compact yet elegant plant. Strong established plants supplied in approx 5 litre containers, with plumes in season.